I think, my being sick, has produced the best meals. Last night, I checked to see what was leftover and as proven previously, I knew spinach and mushrooms were a winning combination. All I needed was a few eggs and we would be in business. Heat oil in 10 inch skillet. Add onions and mushrooms and cook for 6 minutes. Add spinach and cook for an additional minute, mixing everything together. Beat eggs with dill dip and pour over mushroom mixture. 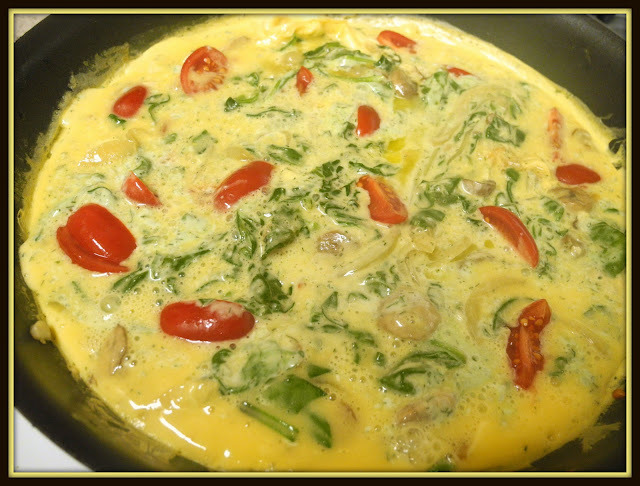 Top with tomatoes, gently pushing them into the eggs. Cook for about 2 minutes until edges are firm. Place skillet in oven and cook at 350 degrees for 20 minutes or until it is firm. This looks delicious and comforting! The humble eggs never fail to amaze! 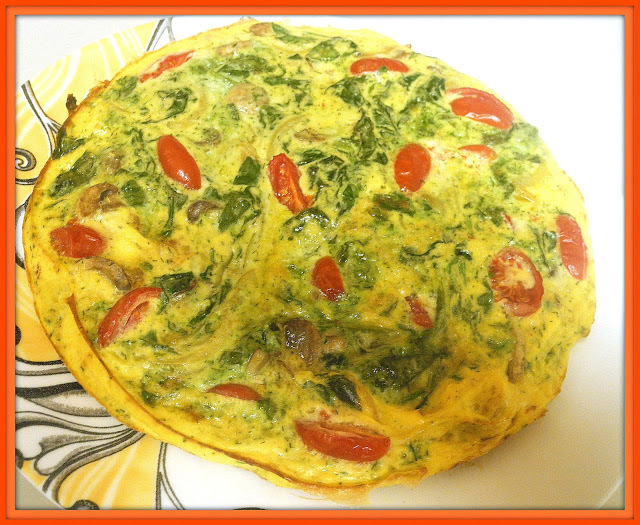 With some help from the spinach, and tomatoes, definitely a winning combination!